Since the interface was opened up by its developers, Sick, two years ago, there has been an explosion in the use of Hiperface DSL interface. 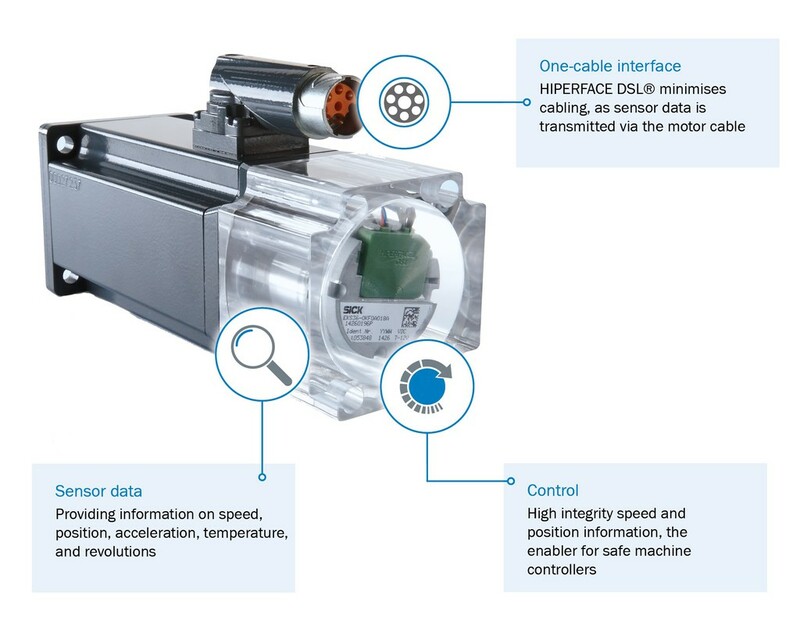 Motor and drive manufacturers such as Lenze and SEW have recently joined ABB, Beckhoff, B&R, Moog, NUM, Parker and other leading motor and drive brands to incorporate the Hiperface DSL interface. As a result, the benefits of the single-cable technology are now being enjoyed by users of machines in every kind of industry worldwide. Where did the Hiperface interface originate? Way back in 1985, Sick first developed SSI (Synchronous Serial interface), the first industry standard serial digital interface for transmitting position data from absolute encoders to a control system. Just over ten years later, in 1996, Hiperface (High-Performance Interface) combined digital communication for absolute positional data with an analogue interface for real-time relative position and speed. Hiperface soon became a universal standard interface for motor feedback that is still widely used and supported today. When did Hiperface DSL first enter the scene? In 2011, Sick turned the accepted ‘golden rule’ of using separate cables for power and signalling on its head to launch Hiperface DSL (Digital Servo Link) providing a fully-digital two-way communication between the controller and encoder in servomotor systems which only required two cable cores, including power supply for the motor feedback encoder. It kick-started a revolution. The Hiperface DSL digital interface made the bulky, multi-core feedback cable redundant and made the single cable servo motor a reliable proposition for the very first time. How does Hiperface DSL Work? With Hiperface DSL (Digital Servo Link), Sick found a way of using the twisted pair traditionally used for the temperature winding sensor in the cores of a standard motor power cable for communication of feedback data to the drive. The signal cores are bundled with the power cable to the motor in a single umbilical, flexible cable. Temperature winding data is still available as the sensor is directly connected to the motor feedback encoder which then digitises the temperature signal and sends it with the motor feedback data. Why was single-cable technology so revolutionary? 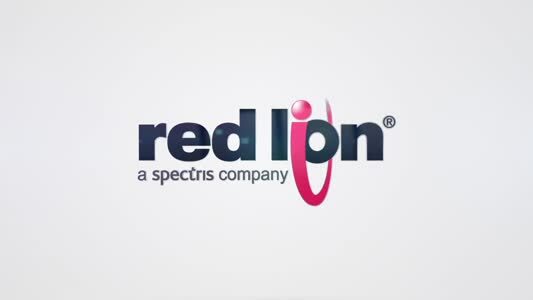 This breakthrough was achieved because the Hiperface DSL protocol contains sufficient redundancy, error checking and correction capabilities to eliminate electro-magnetic interference and therefore the risk of signal degradation. Hiperface DSL complies with the RS485 standard and enables interference-free data transfer between the controller and motor with a transmission rate of 9,375MBd. The data is transmitted in synchronization with the drive cycle, which can be as short as 12.1μs. The cable between the drive electronics and feedback system can be up to 100m in length. Why was Hiperface DSL adopted so quickly and enthusiastically? With Hiperface DSL onboard, motor and drive system manufacturers have been able to dispense with heavy, bulky, and rigid, multi-core feedback cables and the need for a motor feedback connector plug. Using a single-cable technology instead of two plugs, two sets of cables and additional installation overhead costs, has saved manufacturing and design costs. As product lifecycles reduce, Sick recognised the need to enable servo drive systems to be developed more easily. To address this, Sick also developed IP cores for the drive manufacturers that are compatible with leading Field-Programmable Gate Arrays, enabling quick and easy implementation. However real demand surge came as OEMs, machine builders and the machinery end-users put pressure on their motor and drive suppliers to upgrade their offering to include single-cable technology. They wanted to benefit, amongst other things, from the significantly reduced cabling installation costs it offered. For example, it has been estimated that 1.5 million metres of cable a year could be saved in packaging machinery alone using single-cable servo motors. The benefits not just in terms in cost, but also through the environmental benefits of reduced energy usage and waste are clear. The Hiperface DSL architecture was also developed specifically with improved safety of drive systems in mind, with the redundancy and error checking required to achieve both SIL2 (PLd) and SIL3 (PLe) levels for safe speed and safe position functions, smoothing the path for manufacturers and end-users to achieve safety certification for their entire system using SIL-rated components. Looking to the future, how does Hiperface DSL fit into an Industry 4.0 enabled factory? Hiperface DSL offered the immediate benefit of transmission of a digital temperature signal from the encoder. But this was only the beginning of exploiting the additional data feedback a two-way digital highway can bring. Right from the start, Sick had embedded in the single-cable digital communication, the ability to bundle data from other sensors as well as safe speed and position data from motor feedback devices. Although no-one had heard of Industry 4.0 in 2011, Sick had embedded in Hiperface DSL a digital communications architecture that would facilitate condition monitoring, prognostics and integrated safe motion control. This single-cable digital feedback has therefore offered an important opportunity for remote diagnostics of a whole range of parameters, to allow for scheduled maintenance, user-defined warnings and usage histograms to monitor and predict conditions in the motor. Plant operators and maintenance engineers can now plan maintenance more effectively, enabling increased plant availability and reducing machine downtime. 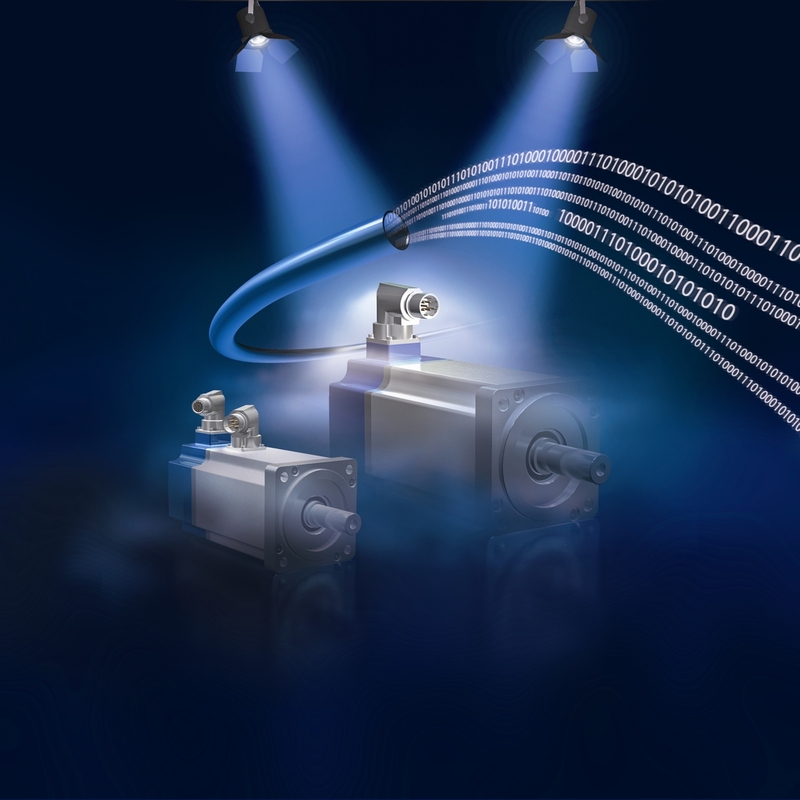 So, encoders are not just a data source from the centre of the drive, they become Smart Motor Sensors delivering real-time information directly from the centre of production. What are the latest developments in Hiperface DSL Technology? The sHub (or Sensor Hub) is a device that can be positioned within the motor to “collect” information from other sensors in the motor, such as temperature, shock, vibration and moisture to monitor condition and avoid potential failures. So, for example, data from accelerometers can be used to measure shock and vibration on the motor bearings. If you know the vibration signature of the bearings that you are using in your motor, then by feeding that data back to the drive, the drive can analyse it and provide alerts if bearings are about to fail. Similarly, measurements from a humidity sensor inside the motor could predict the failure of a seal, providing real-time control without the need for physical inspection. No additional infrastructure is needed. sHub gathers data from the additional sensors and motor feedback device, bundles the data and sends it back to the drive via Hiperface DSL. Sick also recently completed its product portfolio for Hiperface DSL standard servo motor feedback systems, with the introduction of its EES37 single turn encoder and EEM37 multiturn encoders for Hiperface DSL-enabled drives. The development has delivered digital data output and diagnostics for compact motors, together with functional safety up to PLd and SIL2 levels where required, which is expected to be particularly well-suited to robotics and packaging machinery designs. When Sick developed Hiperface DSL nearly 10 years ago, the speed of progress towards a digitally-enabled Industry 4.0 diagnostics and prognostics could, perhaps, not have been fully-envisaged. However, the Hiperface DSL architecture has proved to be both robust and versatile and able to respond to current and future requirements.